Obviously, this story involves a thing that happens in Star Wars: The Force Awakens. If you haven’t seen it yet and don’t want to know about anything that happens in it, you should leave. Also, you should probably just go see the movie or get off the internet entirely. If you read anything after this line, you only have yourself to blame. 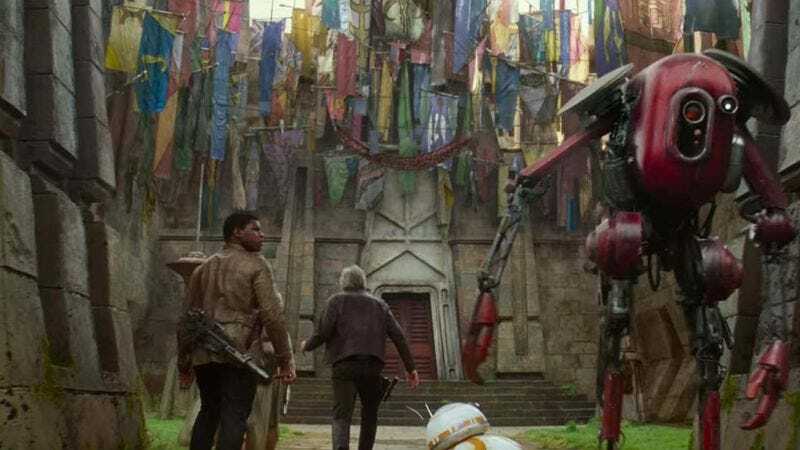 So, as the rest of us already know (or don’t mind finding out), there’s a scene in The Force Awakens where some unseen force calls Rey into the basement of Maz Kanata’s cantina-like castle. She finds a mysterious box, and when she opens it she sees—last chance to avoid spoilers—Luke Skywalker’s old lightsaber. She briefly touches it and then experiences a series of visions that will all probably be explained in later Star Wars movies, including Kylo Ren hanging out with his bros, Luke placing his robotic hand on R2-D2, and Rey herself as a kid being left on the planet Jakku. Assuming you didn’t catch that the first time around, now you have an excuse to see The Force Awakens again. You’re welcome.